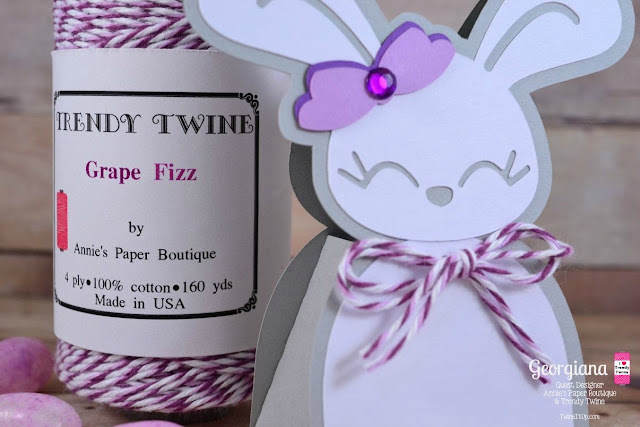 Hello Trendy Twine Fans! 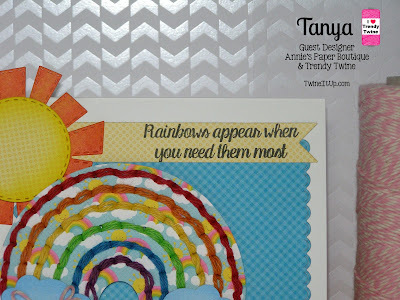 Christi from Scrapping For Tranquility here as Guest Designer this week. I am soooo excited to share this beautiful color of Trendy Twine. 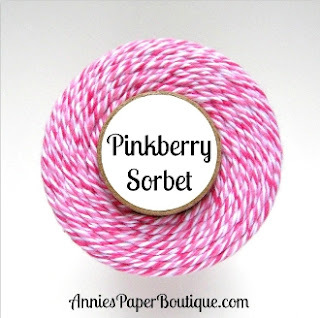 My featured color for this week is Pinkberry Sorbet. This is such a gorgeous Tri-color of Pink, White and Raspberry. Such a Springy color that I couldn't help but make an Easter project! 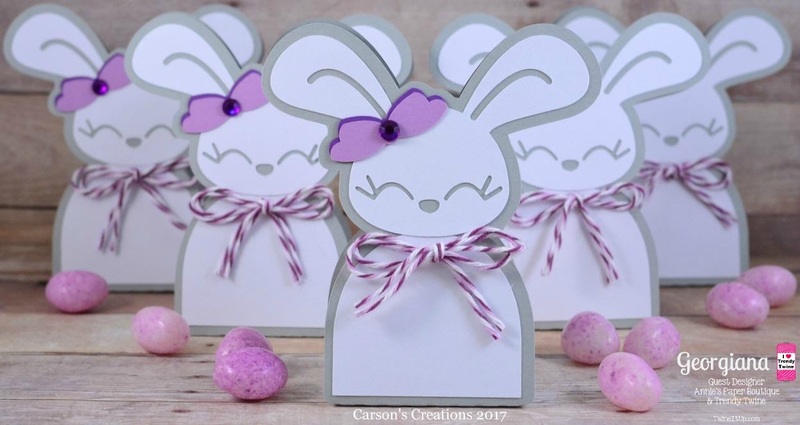 I made an Easter paper treat bag with an adorable bunny on the front. I filled it with Starburst Jelly Beans and There you have it! 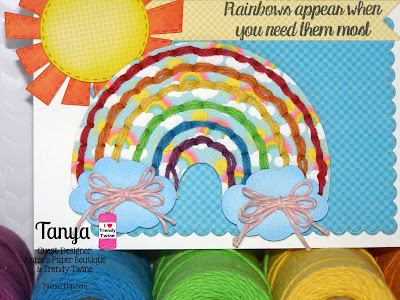 Thank you for joining me and for more information on my project please visit my blog here: Scrapping For Tranquility . See you next month! Good morning Trendy friends! It's Janice here from Janice's Jems! 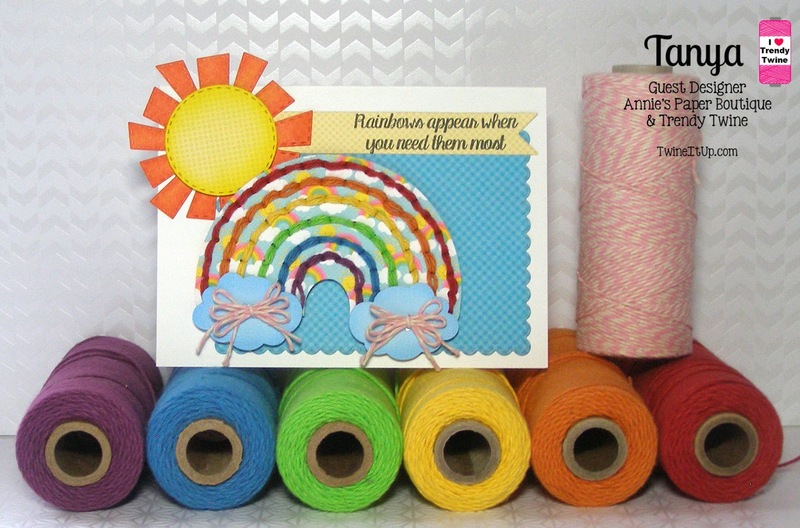 I am so excited to be a guest designer again for Trendy Twine! 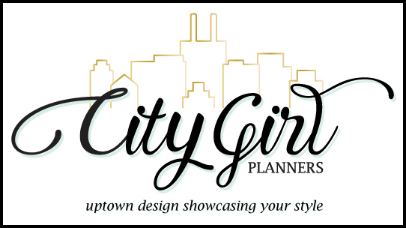 I have become a big planner fan. Every week I love to work on my layouts. Hello all! Tanya from Crafting on Caffeine here today as Guest Designer. I'm so so excited to share this with you! As you can see I used LOTS of beautiful Trendy Twine. I just love how the colors pop! For all the rest of the details please stop by my blog, Thank you! Hello! 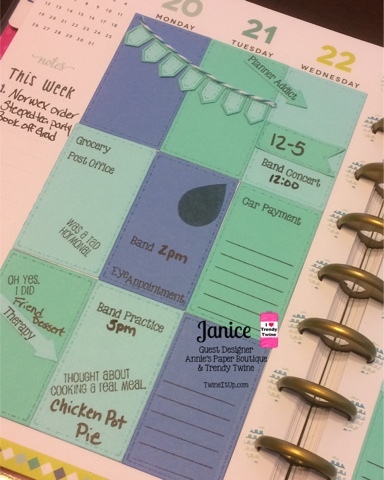 It's Planner Friday again on the Trendy Twine blog and I am here to share some ideas for prettying up your planner pages. I love starting off the week with a blank page and then creating something really fun that also keeps me organised! 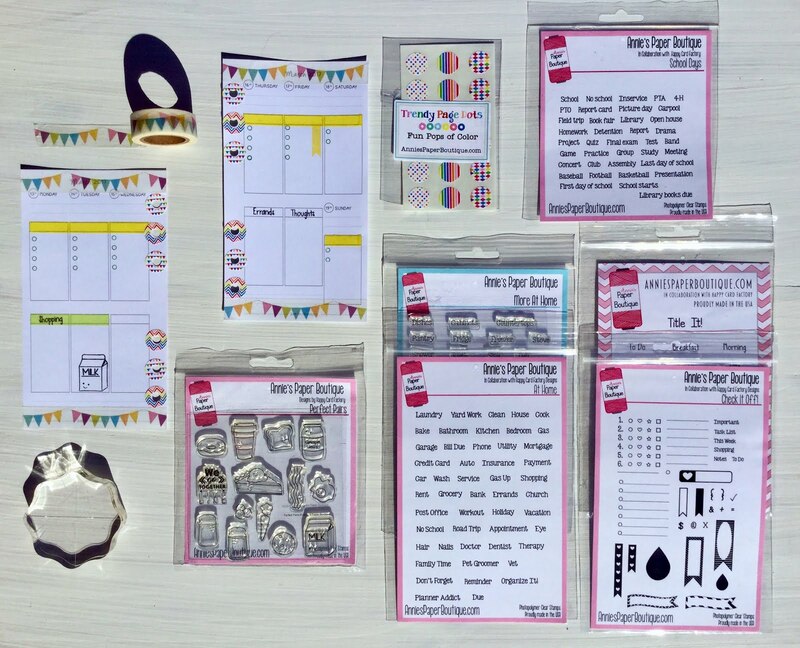 There are a few different ways to decorate your pages, some people like to cover them in washi tape and stickers before they add their plans, some people draw or paint the most beautiful images and others like to decorate as they go along. It is all down to personal preference and whatever works best for you. 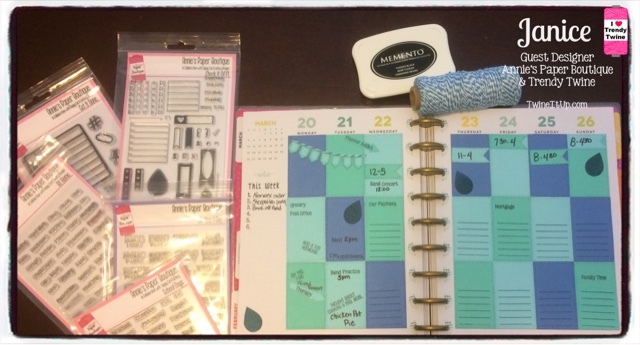 I have found that using stamps in my planner saves me a lot of time and they make everything look nice and neat. I like to get my to do lists and reminders down onto the page and then I decorate around them with cute image stamps and stickers. 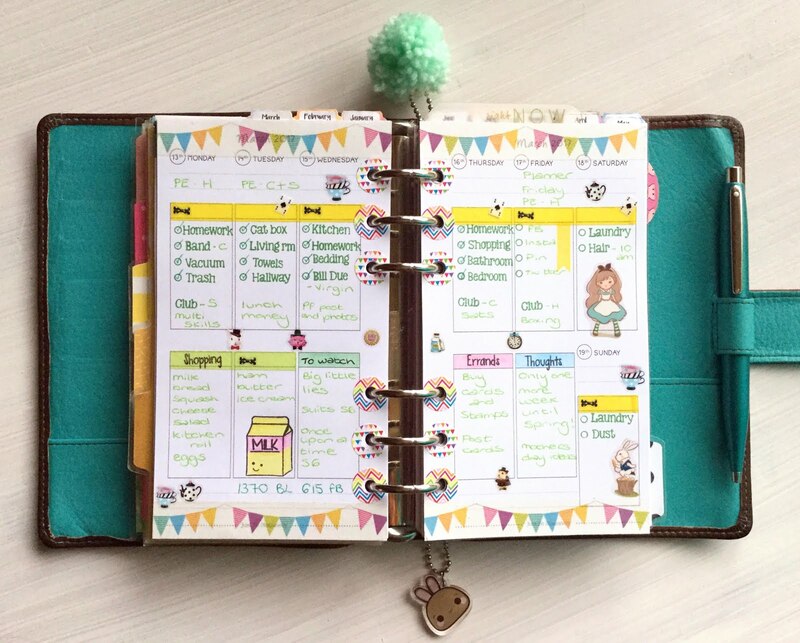 Creating an attractive spread makes me more likely to open up my organiser and check my plans each day which in turn helps me keep on top of everything. Do you ever decorate your pages? I would love to know if you do or if you feel inspired to give it a go! Don't forget to check out all the planner goodies in the store and I will be back again next month, I hope to see you then! 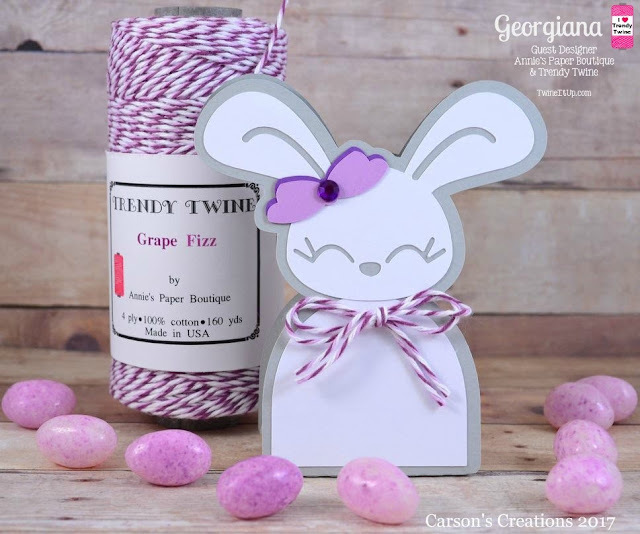 This is Georgiana from Carson's Creations and I am back as a Spring Guest Designer. I am super excited because we were able to pick any color of twine we wanted to use. Well, I couldn't pick just one (too many fabulous colors to choose from), so I sent Lesley my wish list and told her to surprise me. I LOVE the color she sent me...Grape Fizz. 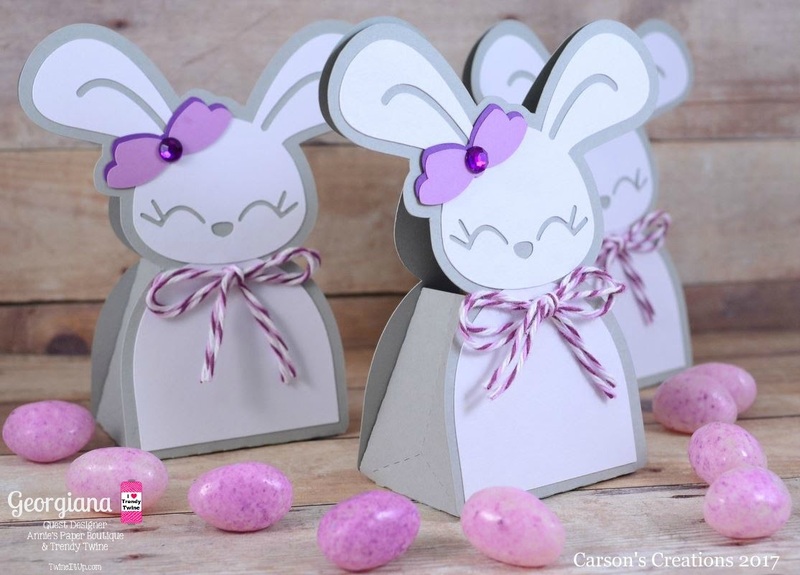 I created little bunny treat boxes for a few of my co-workers. I used Grape Fizz Trendy Twine as the front bow, which holds the box closed. The side view...the treat box is big enough for a small hand full of jelly beans. Be sure to get your Grape Fizz Trendy Twine today! 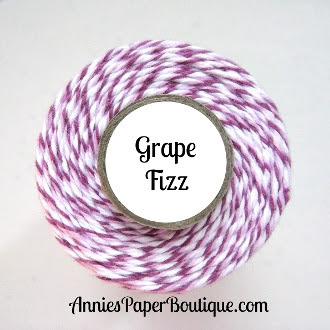 You can find this great twine color along with many more by visiting the Annie's Paper Boutique store.